​Forest Hill Nature Area, located in northern Gratiot County, Michigan, is land that has been set aside for the preservation and appreciation of the natural world. The nature area has walking trails through 90 acres of gently rolling hills, open fields, wetlands, willow thickets, and woodlots. Forest Hill Nature Area is home to a variety of wildlife such as white-tailed deer, muskrats, ducks and turkeys. Forest Hill Nature Area is an outdoor education center for the school children and community members of Mid-Michigan. It provides a place to explore the wonders of nature all year. The nature area is available to school groups, scout troops, and nature clubs for field trips. Forest Hill Nature Area’s trained trail guides are available to assist or direct groups around the site. These trail guides are outdoor enthusiasts who love nature and enjoy teaching others. The 90 acre outdoor classroom continues to be a positive addition to the education of local school children. In the summer of 2017 a local college student flew his drone over the property and recorded a birds-eye view on the nature area. The resulting video contained labels to identify the swales and meadows and woods and ponds, and the video has been watched on YouTube over 2,500 times! ​In the summer of 2017 a local college student flew his drone over the property and recorded a birds-eye view on the nature area. The 90 acre outdoor classroom continues to be a positive addition to the education of local school children. The resulting video contained labels to identify the swales and meadows and woods and ponds, and the video has been watched on YouTube over 2,500 times! Thank you, C.J. Spencer for helping share the vision of the Forest Hill Nature Area. In 1992, the Gratiot County Soil Conservation District acquired a 90 acre abandoned farm from the U.S. Department of Agriculture. 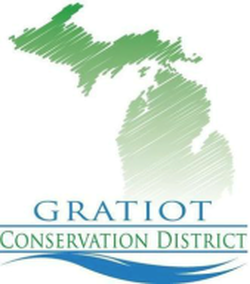 In 1993, the District leased the property to the Gratiot-Isabella RESD to develop an outdoor education center. The RESD named the property, the Forest Hill Nature Area and in partnership with the U.S. Fish and Wildlife Service began a major wetland restoration project. Also, over the years, some farm buildings were demolished while others were renovated. The Nature Area has evolved into an important outdoor educational resource for the school children in Gratiot and Isabella Counties as well as the citizens of Mid-Michigan. Since 1993, thousands of school children and adults have participated in field trips and nature programs at Forest Hill Nature Area. Everyone is encouraged to visit and enjoy this unique property located between Alma and Shepherd. There is a large parking area for school buses as well as a covered observation platform for viewing the wetlands. Check out the blog from Forest Hill. The Forest Hill Nature Center which is located on Rich Rd just south of the Isabella/Gratiot County line at the corner of Adams and Rich Roads. Check out our blog post about the Forestry Stewardship Workshop we hosted at Forest Hill Nature Area! Check out our blog post about the Alma College Conservation Biology Class we hosted at Forest Hill Nature Area!